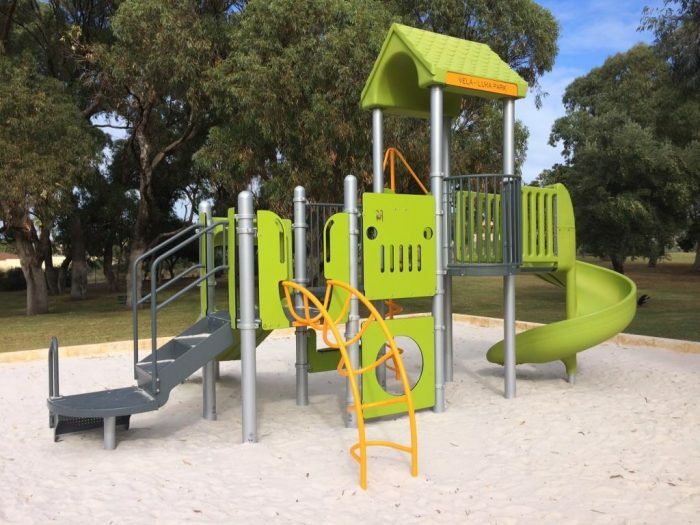 Being well past its ‘used by’ date, the playground at Vela Luka Park was up for refurbishment, so we were happy to offer a bright new alternative that would offer diverse play opportunities, and exceptionally high quality materials. The main play system offers a varied access points with different challenges, and plenty of imagination play above and below deck. 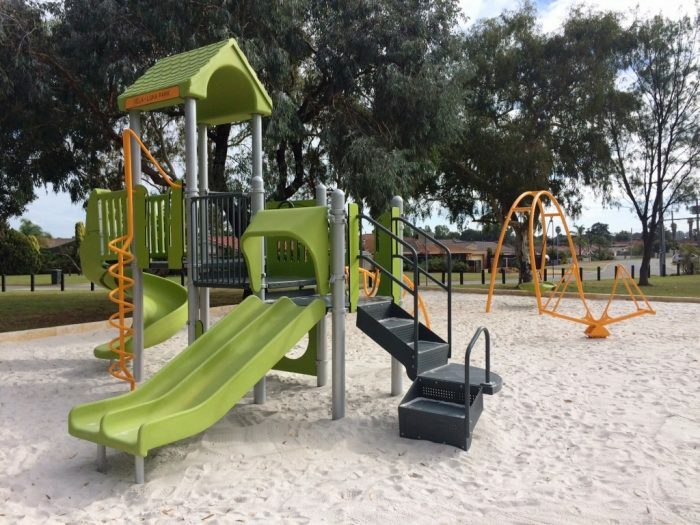 The personalised sign on the system is standard issue with our PlayBooster systems and adds that piece of ownership to the park. 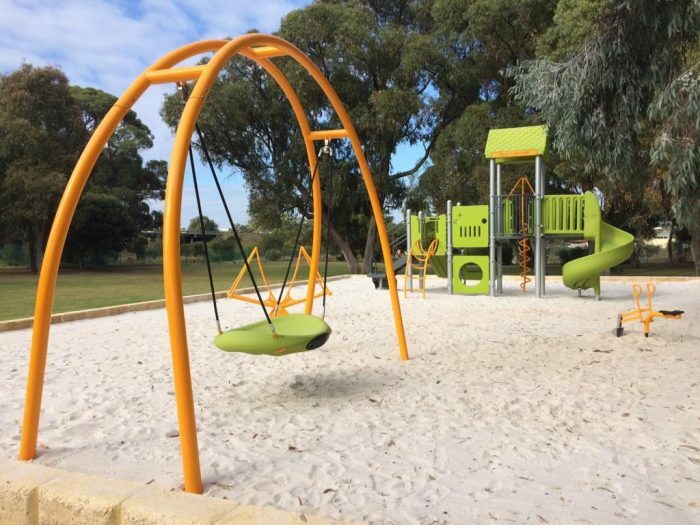 Other items in the playspace include the Oodle Swing – oodles of fun for oodles of kids and the Superscoop for hours of earth moving fun. The StandUp See-Saw promotes collaborative play, balance and coordination and complements the sensory stimulation achieved in this space. 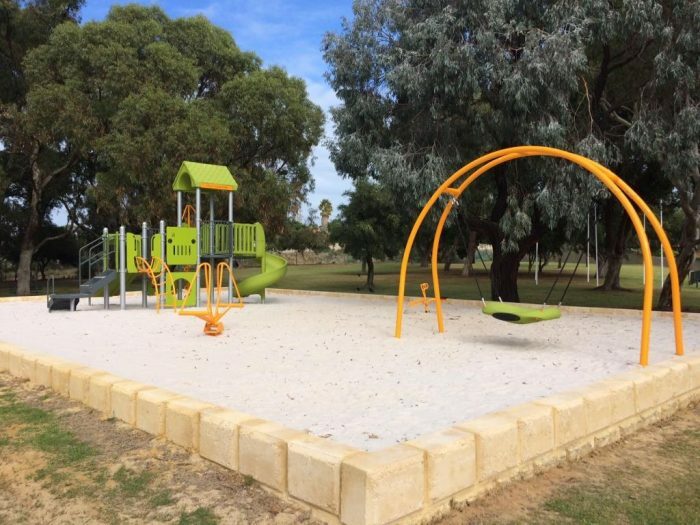 The existing playground was removed and disposed of and the new playground installed with sand softfall all within a week – however this was not without its challenges. 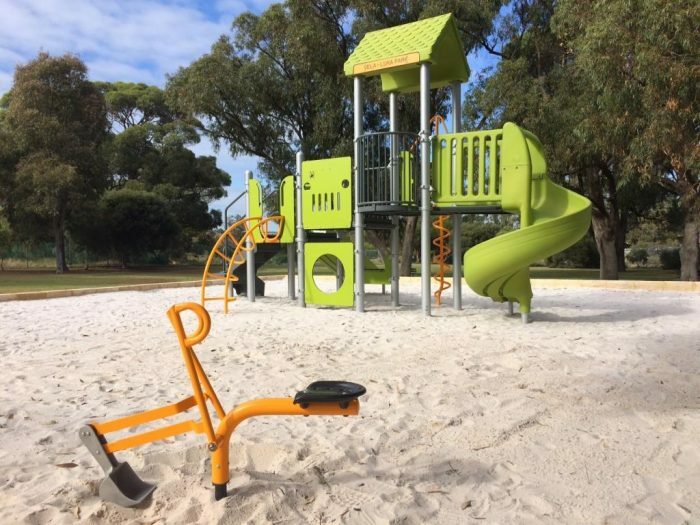 The site had been closed for public safety after it was found to have traces of coal tar in the soil – waste product from the Spearwood gasworks which had ceased operation in the 1970’s. Remediation work had been carried out in the late 1990’s with 500mm of fill replacing tainted soil which then had barrier mesh laid down as a depth marker, with another 500mm of sand over the entire site.